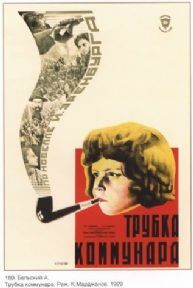 Vintage Russain movie poster. The Communard's Pipe (1929). Artwork by Anatoly Belsky.